Kaya Scodelario is a British actress. She is known for her role as Effy Stonem in the E4 drama Skins and Teresa Agnes in The Maze Runner series of films. Kaya’s father, Roger Humphrey, was English. 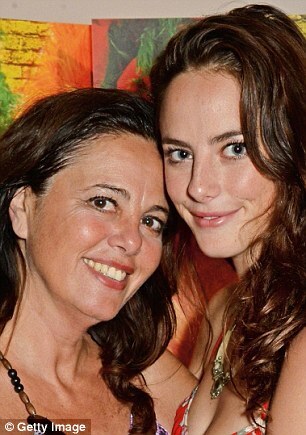 Kaya’s mother, Katia (Scodelario), is Brazilian. Kaya has said that her surname comes from her mother’s Italian ancestry. Like many Brazilians, her mother also has Portuguese roots. Kaya can speak Portuguese fluently. A picture of Kaya with her mother can be seen here. Kaya is married to American actor Benjamin Walker, with whom she has a son. Kaya’s paternal grandfather was Basil R. Humphrey (the son of Richard Humphrey and Alice Ada Cheale). Basil was born in Brighton, Sussex, England. Richard was the son of George Humphrey and Ann Whiting. Alice was the daughter of George Henry Payne Cheale and Sarah Anne Salvage. Kaya’s paternal grandmother was Mabel A. Benham (who is likely the daughter of George E. Benham and Abigail A. Parker). Mabel was born in Brighton, Sussex, England. Kaya’s maternal grandmother is named Inez Rosemari/Rosemary Moraes.